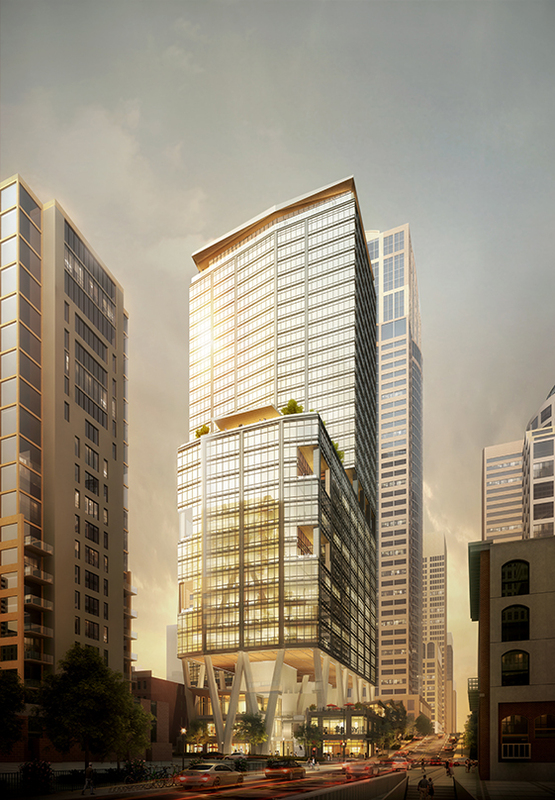 2+U is a Class-A office tower located in one of the most strategic locations in downtown Seattle. 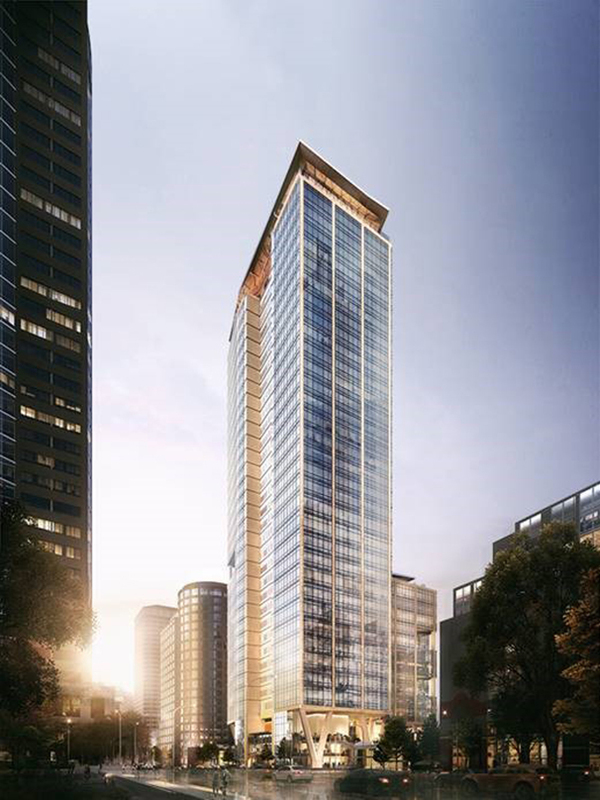 Its compelling connection and access to the waterfront, Pike’s Place Market and the Central Business District will invigorate the work environment for companies seeking an address in the core. 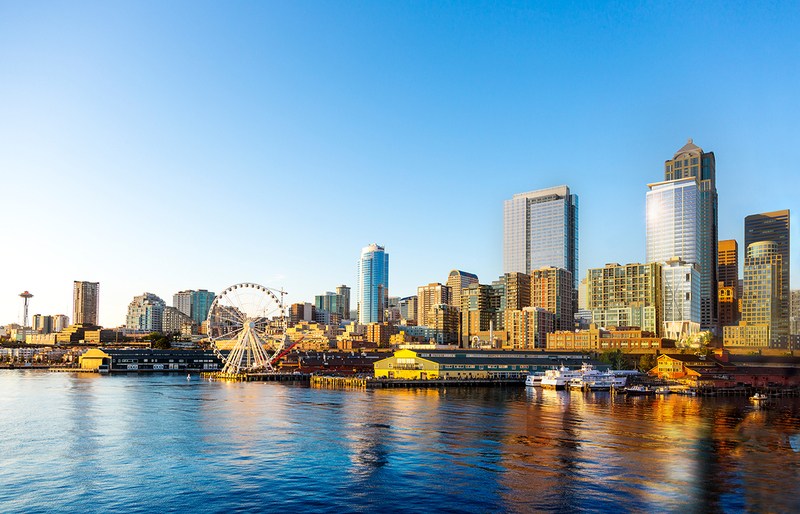 2+U will create a new and welcoming, communal destination representative of the region’s unique character. 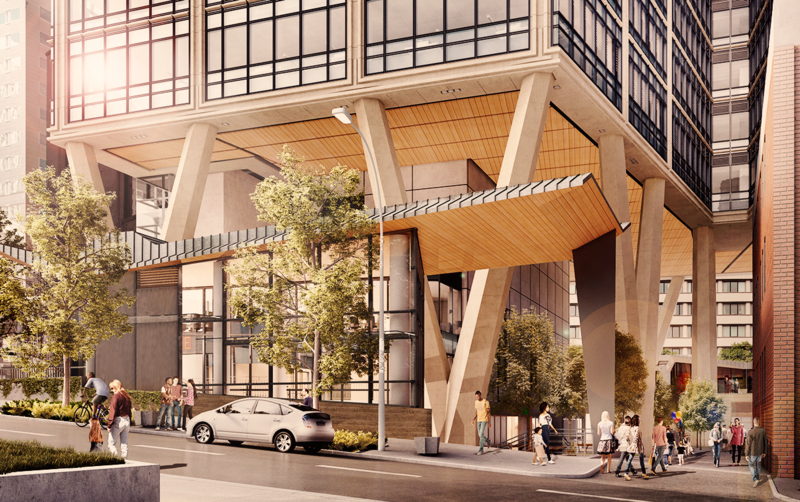 2+U displays a strong connection between the building’s form and the Northwest’s character, resulting in a true Pacific Northwest building. 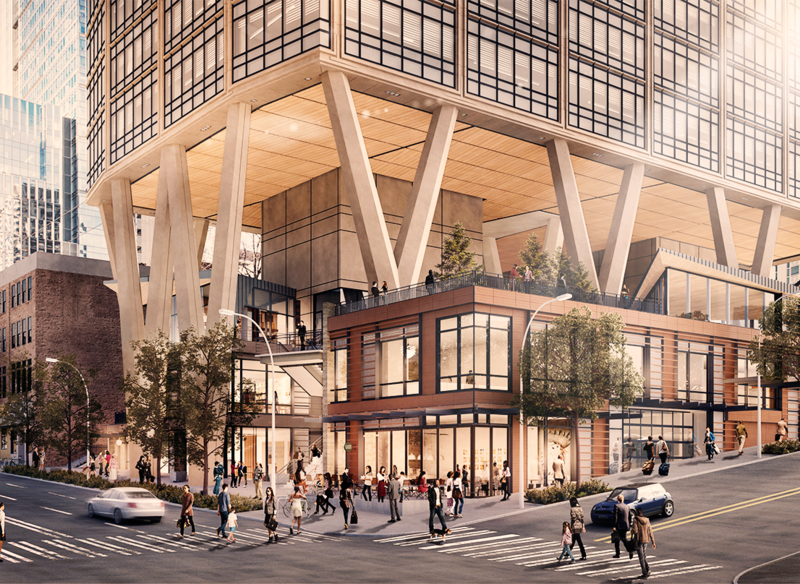 A multi-level pedestrian experience traverses the block through a forest-like base, while the tower above provides year-round weather protection similar to the warmth and comfort of a tree canopy. 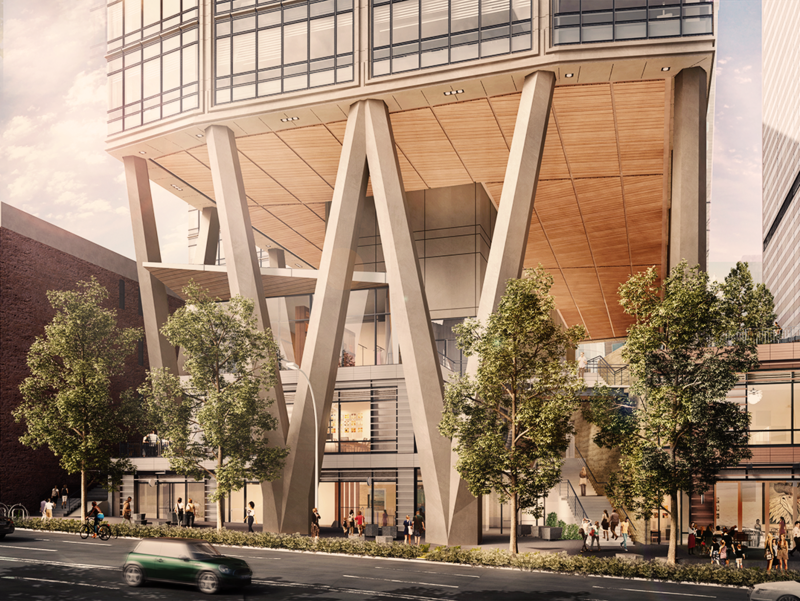 Sheltered beneath the elevated tower, a rich urban experience features arts and cultural spaces, events, entertainment, restaurants and retail. 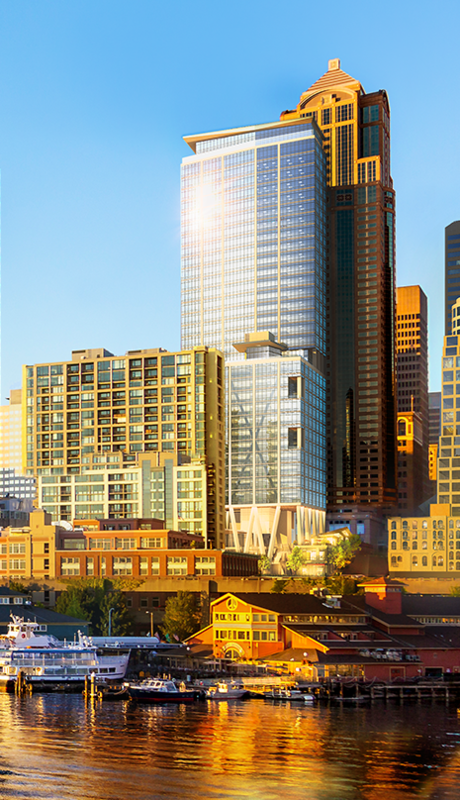 A large roof terrace at mid-tower provides dramatic views over Elliott Bay.